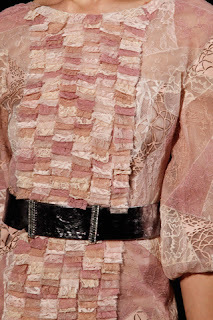 sarahg2747, the fashion blog: "There's no place like CHANEL"
"There's no place like CHANEL"
Karl Lagerfield designed the recent fall couture collection into an array of 'New Vintage'. Showcasing the lady-like glamour of pastels and developing textural fabrications, the collection was a luxurious tactile sensation. 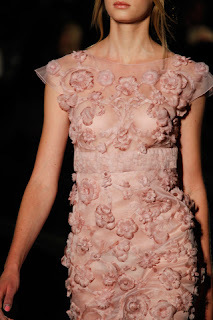 Metals, tweeds, sequins, furs, pintucks, feathers and flowers - you can feel the sensation just by looking at the garments. 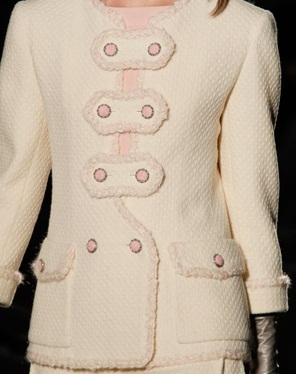 Lagerfield also encaptulated the old world charm of CHANEL, with classic details of tweed, tailoring and quality. 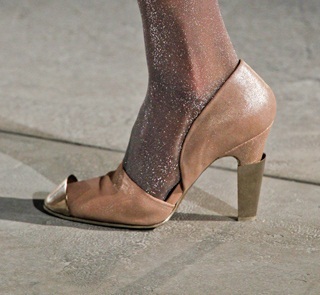 With exquisite details, I am now lusting over these heels... 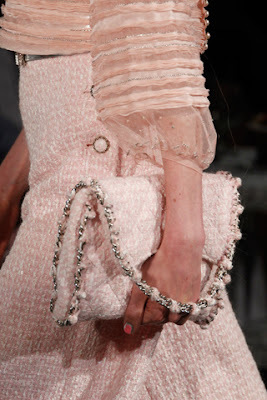 If only I could click my heels together three times and repeat the words, "There's no place like CHANEL" the CHANEL witch would make my heels CHANEL.